A 25th anniversary is a huge milestone and a great reason to celebrate. 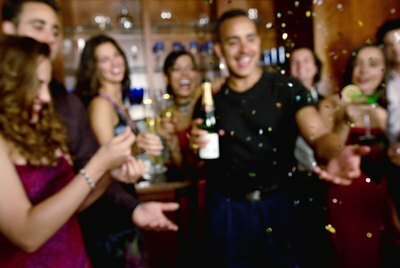 However, throwing the bash of the year can be very expensive and may not be feasible for everyone. For those with a strict budget, the celebration may not be as elaborate, but with careful planning it's easy to keep guests entertained without spending a lot of money. While there are various styles of invitations that you can purchase, making invitations for a 25th anniversary party doesn't have to be hard. Use a thick, white paper to print the party information on. To make the invitations look classy, use a fancy script in silver lettering. Include the names of the guests of honor, the time, date, location of the party and information for guests to RSVP. To personalize the invitations, include a picture of the couple who is celebrating their 25th anniversary. Decorations should be kept simple. White and silver balloons, white table linens and white flower centerpieces can be purchased at any party supply store fairly cheaply. 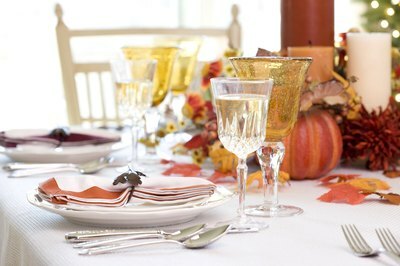 Using paper plates and plastic dinnerware is cheaper than renting entire place settings and also easier to clean up. In the area where guests enter, place a book for guests to sign and various pictures of the couple throughout their 25 years of marriage. Pictures can also be put in several places to help decorate the dining and food tables. Feeding a lot of people on a budget can be difficult. 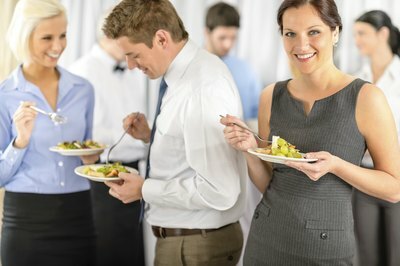 However, choosing a buffet-style meal will help minimize the cost. Order meat and cheese trays so guests can make sandwiches. Vegetable trays, fruit trays and chips and dips are other low-cost options for food. To keep the cost of drinks down, stick with soda and bottled water. If there will be guests who prefer alcoholic beverages, serving beer is less expensive than making drinks. For those who don't need to serve a meal to their guests, simply serving cake and punch is an inexpensive way to provide refreshments. Put together a slide show that showcases the couple's 25 years together. Not only will it entertain the guests for a while, but will mean a great deal to the couple when they see how much effort was put into making the video. As a gift to the couple, take a video camera around to the guests and let them record their feelings and well wishes for their 25th wedding anniversary. Having music and an area for people to dance is probably the cheapest way to entertain guests. Instead of hiring a DJ, download music online and have a family member be in charge of the music.